Fill in a form, cough up the €100 euro fee, and “Tere tulemast Eestise!” (thanks, Google Translate) you can be an Estonian e-Resident. Lauded as the ‘Brexit loophole’, Estonia caused shockwaves in 2014 when it launched its programme to treat us all like federal consumers. And it’s been a phenomenal success. 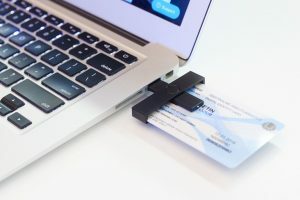 The rate of Estonia’s e-residents now surpasses the country’s birth rate, bringing in taxes and significantly boosting the economy. And it sums up everything disruptive about the European start-up scene – that our “small” nations can pack a serious punch on the global stage. Believe it or not, this former Soviet satellite is now the world’s most advanced digital society. What’s an e-Resident? It’s a digital citizen, born online, who is able to launch a company in Estonia (and pay simple, fair Estonian taxes) from anywhere in the world. Prospective e-Estonians head to https://e-resident.gov.ee to sign up, and they’ll be sent a card, a USB reader, a PIN code and a URL. 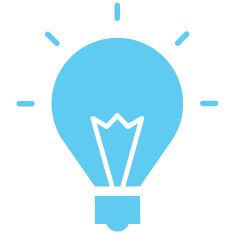 To open a business, they can then log on from anywhere worldwide, form an Estonian company, register with an Estonian bank, and file incredibly simple Estonian taxes. The additional benefit? Trade within the EU from any global position. Our portfolio company, onoff, have taken advantage of this… rather befitting for a start-up that is all about breaking barriers in telecommunications and liberating SIM cards through the cloud. Estonia’s programme of digital citizenship, the first the world has seen, has been hailed as a revolutionary approach to nationhood and government administration. In essence, Estonia treats itself like a company, and it’s been hugely successful. So, what lessons can we take from the governance of this tiny nation? E-Residency is a by-product of an inherently digital attitude. Estonia’s parliament is entirely paperless; draft bills are available to read by citizens online (and changes tracked), online voting has been in place since 2007, and laws are signed by the president digitally. The result? The prospect of transparent governance, reduced corruption and being environmentally friendly. Streamlining processes saves everyone time, money, and (in the case of red-tape bureaucracy) their sanity. And transparency and simplicity creates trust. Estonian officials claim that annual GDP is lifted by 2% because of these efficiencies, what could a similar attitude achieve for your business? Being a resident in Estonia means transparency and control over personal data. Estonians can access all of their personal information through their identity card, including medical records, tax declarations and permits. Any evidence of tampering, or if your information’s been accessed by an unauthorised person, you can report it to the data ombudsman with a single click, and a civil servant will investigate. Empower users to be in charge of their own data, and you’ll create trust and loyalty. It’s a win-win. We all care about technological innovation as a force for good. CB Insights found that only 22% of people believed the top tech companies (Facebook, Amazon, Google, Apple and Microsoft) will have created a net positive for society in 10 years time (and that Facebook will have had the most negative effect). So how can we disrupt to the benefit of our societies? 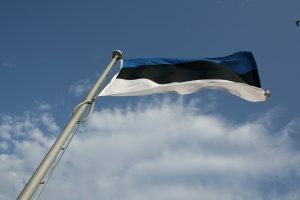 Estonia became the first country to declare Internet access a basic human right in 2000: by 1997, 97% of Estonian schools had internet access and the country rolled out an entirely free (and widespread) wifi network in 2002. This is the ultimate leveller within the knowledge economy. The E-Residency programme can also help entrepreneurs from around the world start online businesses with little bureaucracy, a potential game-changer for those in developing ecosystems. Estonia is empowering people within and beyond its borders, something we can apply to our own start-ups. Empowering others is in the short-term, great PR, and in the long-run, the kind of attitude that will create serious loyalty for your brand. Estonia is bucking the trend, promoting globalisation in a political climate where we all seem to be breaking away and building walls. Will our future be borderless? Will you become a digital citizen, with your passport in the cloud? We’ll have to wait and see. But for now, we can be inspired by the actions of this small but mighty European nation, which is bringing governance firmly into the digital era.